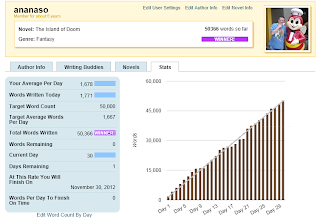 I've successfully finished my work for NaNoWriMo 2012. 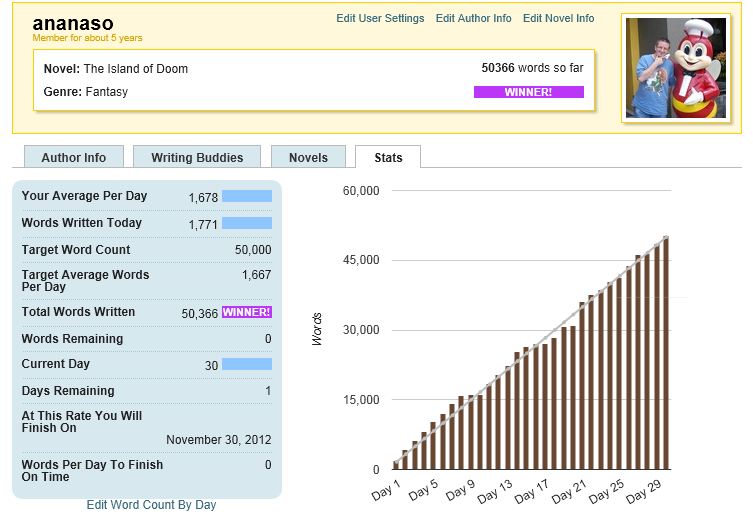 The grand total written is 50366 words, the final two words being "The End". I'm going to put this novel (oh my God, I can finally say I've written a novel!) aside and come back to it after a month or two. It's going to take a LOT of rewriting and editing to make my novel readable in any shape or form, but I can finally call myself a novelist. I'm off for a long rest.